It’s no wonder that Whoopi Goldberg’s new line inspired a state to change its entire medical marijuana program. 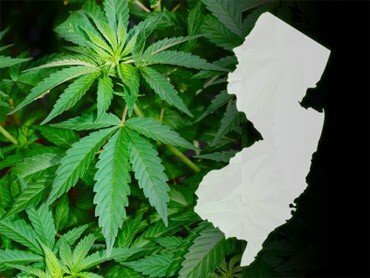 When it comes to marijuana laws, the state of New Jersey is kind of a stickler about it. Governor Chris Christie has been known to avoid the subject of medical and/or recreational marijuana when asked about the matter. But thanks to our hero, Whoopi Goldberg, and her new line of medical cannabis products, New Jersey has decided to ease up a bit on its medical marijuana program. Marijuana is used for so many ailments, from headaches to backaches, muscle spasms to inflammation, and even menstrual cramps. While medical marijuana is used primarily for general pain, it can work wonders for women going through painful periods. Naturally, Goldberg decided to take the treatment of menstrual cramps into her own hands. Whoopi Goldberg has taken pain relief to a whole new level. She recently partnered up with Maya Elisabeth, the owner of a medical marijuana company, Om Edibles, run by women. The line, Whoopi & Maya, which is said to be available in dispensaries soon, includes THC-infused creams, bath salts, and chocolate. Goldberg chose to make the products discreet because it can fit right into your purse and, “You can put the rub on your lower stomach and lower back at work, and then when you get home you can get in the tub for a soak or make tea, and it allows you to continue to work throughout the day.” Genius. So it’s no wonder that Whoopi Goldberg’s new line inspired a state to change its entire medical marijuana program. Recently, lawmakers in New Jersey announced legislation that would ease up on the state’s strict medical marijuana laws and allow women to gain access to cannabis-infused products to relieve their menstrual cramps. Currently, in New Jersey, medical marijuana is only available to people who suffer from conditions such as multiple sclerosis, terminal cancer, muscular dystrophy, and various chronic illnesses. It is also available for people who suffer from seizures and glaucoma but only if they don’t respond to traditional treatments. No other state has added menstrual cramps to its list of conditions for medical marijuana, but most people are unaware of how severe menstrual cramps can be for some women. Assembly member, Angelica Jimenez commented, “For many women, the response to pain so severe that it causes them to vomit or faint is either, ‘Just deal with it,’ or a prescription drug that may not even alleviate their symptoms.” To any men reading this- this is for real. Your women are in pain! Governor Christie of New Jersey has been a total downer on legalizing medical marijuana and argues that medical marijuana is more of a “front for legalization.” Regardless, he’ll have to put away his own issues because just like women and their periods, the cannabis industry is here to stay. Would you try products from Whoopi & Maya? Let us know on social media or in the comments below.